At a special awards dinner held in Los Angeles on February 11, 2012. The Academy’s Scientific and Technical Awards honor people and companies whose discoveries and innovations have contributed in significant, outstanding and lasting ways to motion pictures. 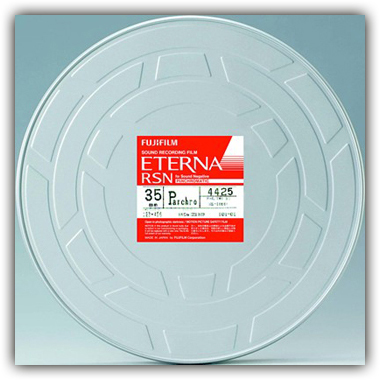 FUJIFILM RECORDING FILM for Digital Separation ETERNA-RDS 35mm Type 4791 (PET) is a black and white film intended for making archival black and white separations from color digital masters. This film is designed for a digital separation workflow using a film recorder. ETERNA-RDS offers a significant improvement over conventional non-specific separation film stock, producing finer detail, accurate gradation linearity, improved granularity and sharpness with reduced flare. This entry was posted in Arts, Cinema, Cinema Technology, Cinematography, Fuji Film, Motion Picture Film, Production. Bookmark the permalink.